Find out more about the latest calls and programs to boost your (international) eHealth business. A listing of open calls and applications. Act now as some of them are closing soon! 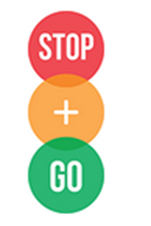 Stop & Go: 'Sustainable Technologies for Older People - Get Organised' is an EU funded Public Procurement of Innovative Solutions Pilot project. 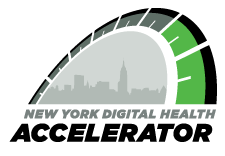 The program will support up to 10 early and growth-stage companies developing cutting-edge technology in care coordination, patient engagement, and workflow management for healthcare providers. access to mentors from senior-level executives. In partnership with the UK Government and Academic Health Science Networks, NHS England is inviting innovators globally to express interest in participating in their flagship testbeds initiative. These sites will evaluate the real world impact of new technologies offering both better care and better value for taxpayers. Oldham Clinical Commissioning Group is searching for companies (SMEs) with innovative technologies to improve patient care/ health or deliver outstanding services at a lower cost. This offers companies working in the medtech/ healthcare sectors the opportunity to secure funded evaluation of their innovations within an appropriate NHS setting. EU projects Unwired Health has launched a market consultation in order to publish a tender aimed at generating a new mHealth solution for HF management. The system must be secure, interoperable and consider the needs of patients and clinicians. The 2015 call is aimed at supporting older adults to live independently for longer and stay in charge of their own lives.